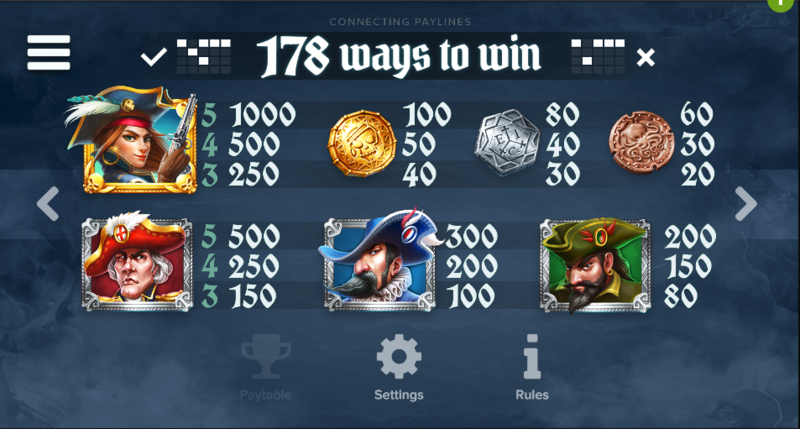 The life of a pirate was a short and brutal one and almost certainly not as glamourous as the events in this online slot seem; it’s called Wid Seas, it’s developed by Elk Studios and it depicts the adventures of an unnamed female pirate (and there were a few!). Wild Seas is a five reel slot with four rows and one hundred and seventy eight ways to win; behind those transparent reels we can see a landscape as viewed from above where dramatic-looking bays surround the white-capped water. Our female pirate is the most valuable symbol but closely followed by three colour coordinated captains (red, blue and green) who are in charge of a particular flotilla; gold, silver and bronze coins make up the lower values. The Wild Seas flag is appropriately wild and it will substitute for all others to help form winning combinations – it’s also involved in the bonus feature described below. 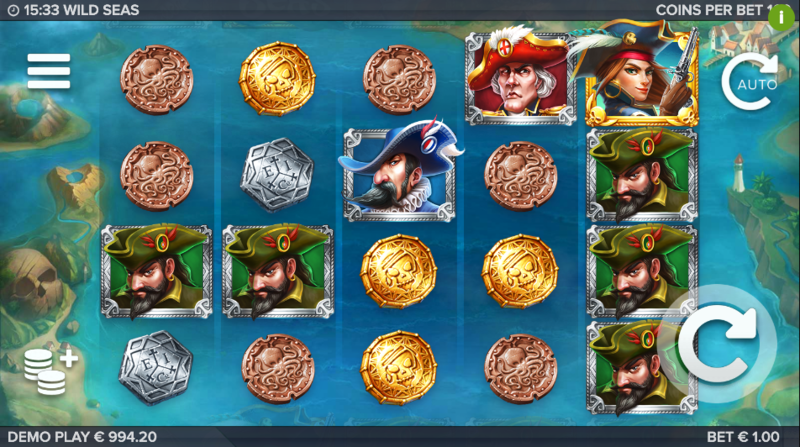 This is the main feature and it’s triggered by landing wild symbols on reels two and four; you’ll now receive eight free spins on a new set of reels with five sailing ships (from one of the captains picked at random) on reel five. These ships are all wild symbols and they’ll move one place to the left with each spin. Pirate ships will now appear on reel five and fire at those sailing ships as they escape across the reels; three hits will sink a ship which then turns into wild treasure chest, frozen in place until the spins end. Elk Studios generally know how to come up with the goods and Wild Seas is another example of how to design a compelling and engaging slot; the feature hits regularly, it’s well thought out and there are some great animations. The RTP is a respectable 96.30%.